Voss (Vangen) Parish Church (Voss, Norway), digital images, Arkivverket DigitalArkivet, Scanned Church Records (http://www.arkivverket.no/URN:kb_read), Voss: 1855-1886, Ministerialbok A120, Deaths and Burials, Page 29, No. 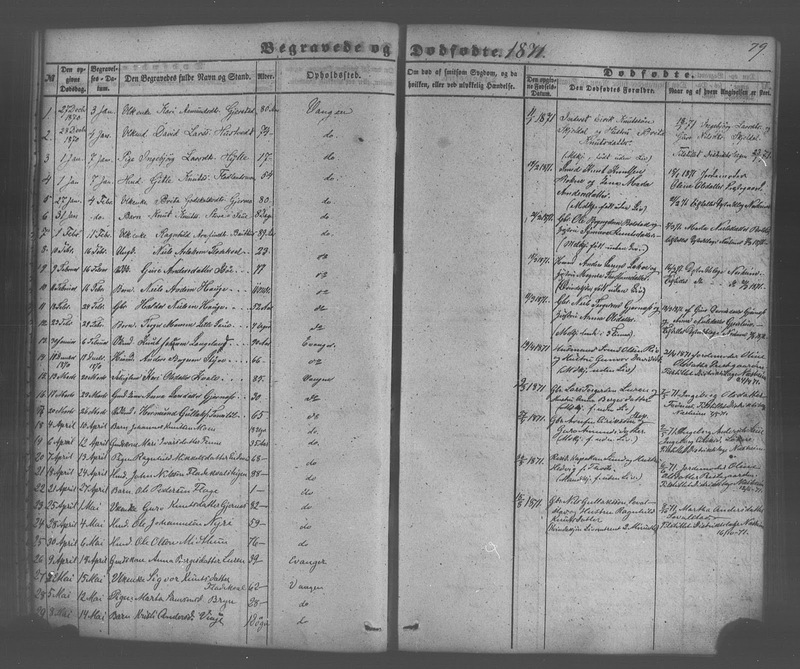 25, Ole Olsen of Midthun (accessed 12 December 2013). 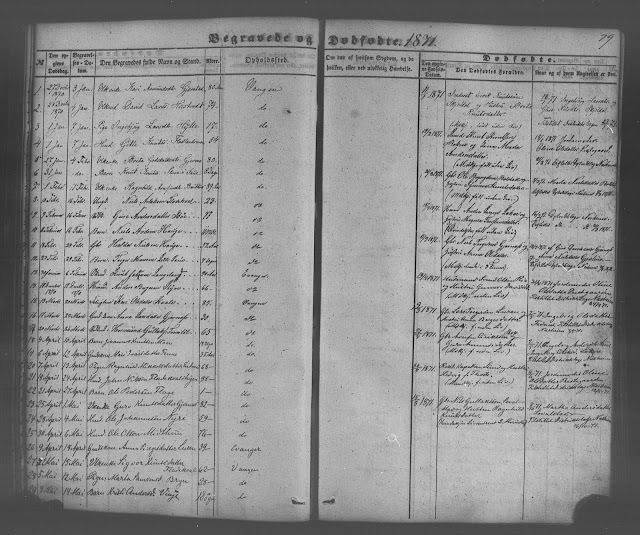 Ole Olsen was the son of Ole Nielsen (1737-1818) and Brita Tormodsdtr (1751-1848), and was born 2 January 1794 on Midtun farm in Voss parish. He is my wife's third great-grandfather, who married Ingeborg Botolfsdtr in 1818 in Voss, through their daughter Brithe Olsdtr. The ??? in the death notice for Ole Olsen - Hmd, which is an abbreviation for Husmand. Husmand is the Norwegian/Danish term for a person that owns a house (hus) i.e. he is not a Gmd, which is an abbreviation for Gaardmand. Gaardmand is the term for someone owning a farm (gaard).